We’ll have activities for all ages, refreshments, and an open mic time for affirmations. Please RSVP by May 1, 2019 to Melissa Masserang at mmasserang@csswashtenaw.org or call 734-9781 x412. 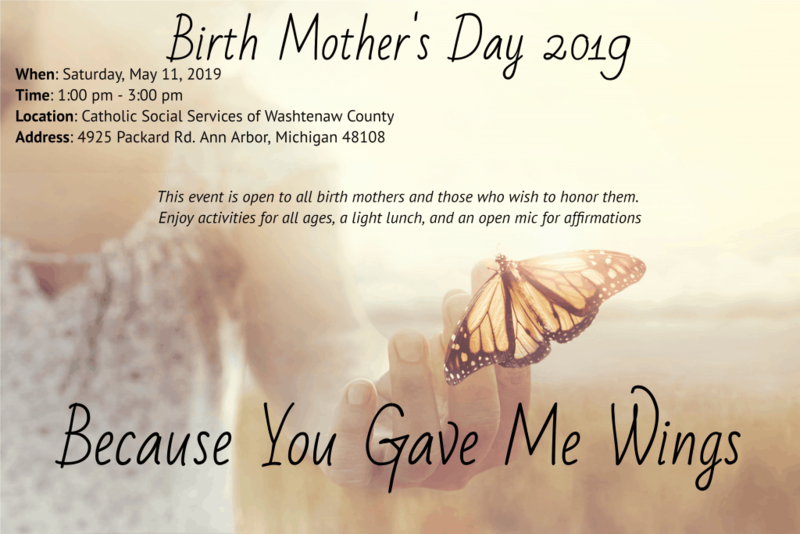 This FREE event is open to all birth mothers and those who wish to honor them.